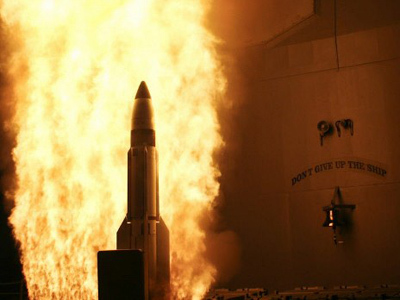 The Pentagon has revealed plans to deploy elements of its global antiballistic missile defense system in Asia and Middle East. A similar project in Europe is one of key points of conflict between America and Russia. ­The plan to have AMD shields in Asia and the Middle East was revealed on Monday by Madelyn Creedon, the US Assistant Secretary of Defense for Global Strategic Affairs. Washington is engaged in two sets of trilateral talks over the Asian system – one with Japan and Australia, the other with Japan and South Korea, the official said. The so-called “phased adaptive approach” used for deploying a similar system in Europe will serve as the model for the Asian region. 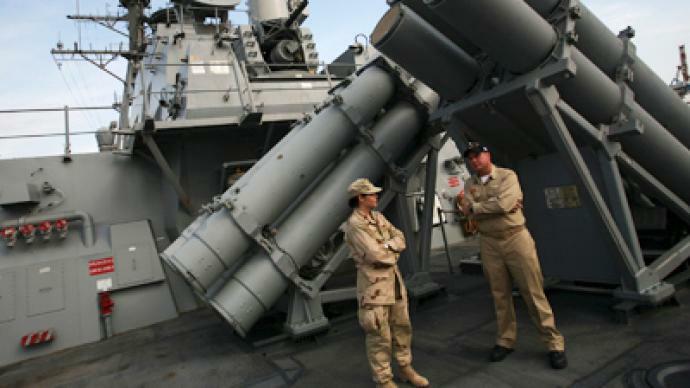 The controversial European antimissile shield includes placing a radar in Turkey, missile interceptors in Poland and Romania, and the deployment of destroyers equipped to use the AIGIS antimissile system in Spain. American plans for the Middle East include the promotion of "interoperability and information-sharing" among the members of the Gulf Cooperation Council as they acquire greater missile-defense capabilities, Reuters cites Creedon as saying. The countries involved are Saudi Arabia, Kuwait, Bahrain, Qatar, the United Arab Emirates and Oman. Deployment of the American antimissile system in Europe has been a thorn in Moscow’s side since the Bush era. 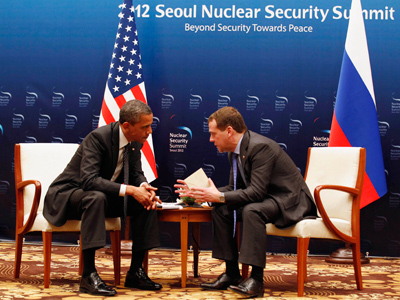 Russia fears that the system, once fully operational, would undermine its nuclear deterrence. 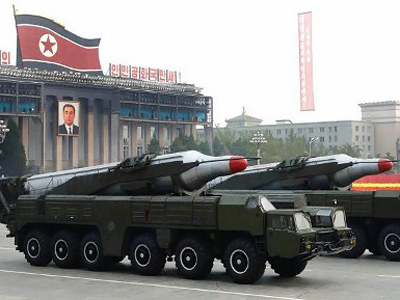 It said it would deploy its short-range missile forces to destroy elements of the system and would upgrade its intercontinental ballistic missiles in response to the US moves. The Asian AMD will likely trouble China for the very same reasons. In a recent interview, Russian Foreign Minister Sergey Lavrov invited Beijing to step up and voice its potential objections. Moscow plans to host a security conference in May, where it hopes to make a case against American antimissile system, proving that its stated goal to contain Iran and North Korea is not in line with its actual future capabilities. The news comes as world leaders are discussing non-proliferation and other security issues at a nuclear summit in Seoul. The issue of AMD already surfaced there, as journalists overheard an informal conversation between US President Barack Obama and his Russian counterpart Dmitry Medvedev. The US leader asked for “space” over the issue until his re-election campaign is over, potentially allowing him room to be more “flexible”. He asked Medvedev to deliver the message to Russia’s President-elect Vladimir Putin. The summit in the South Korean capital is entering its second day on Tuesday. Among the issues being hotly debated there are North Korea’s nuclear program and the planned satellite launch scheduled for mid-April. Pyongyang insists this launch is purely peaceful, but opponents suspect that the country wants to test a modernized ballistic missile for its military. Obama has warned Pyongyang that through threats and provocation, North Korea is not going to win any new allies. He called on China to press on Pyongyang to abandon the idea of a new missile test, as Washington believes Beijing is the only power which has any real pull with Pyongyang.